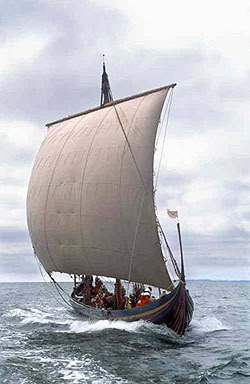 The largest reconstruction of a Viking ship - The Sea Stallion from Glendalough - will in 2007 go on its most spectacular voyage. 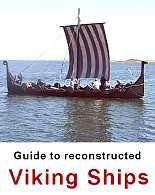 The trip will start from Roskilde where the original ship - Skuldelev 2 - was found in 1962 and go to Dublin in Ireland where the original ship was built by Vikings 920 years earlier in the year of 1042. The voyage is 1700 km long and is expected to last for 44 days. 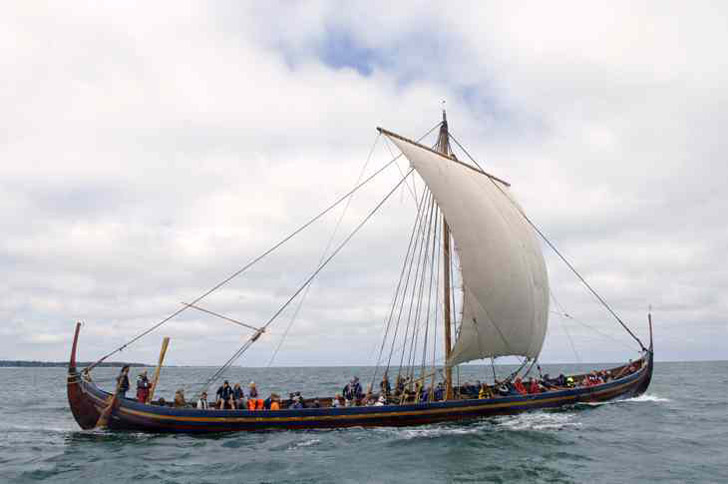 The Sea Stallion will leave the museum harbour at the Viking Ship Museum in Roskilde at the 1st of July and is expected to be in the capital of Ireland on 14th of August. It will pass through the largest Danish fjord - Limfjorden - before entering the North Sea. It will go north of Scotland with a stop on the Orkney Islands before heading for Dublin. The ship has a crew of 65 persons from 11 different countries. The main part is from Denmark, but there are also people from Ireland, USA, Canada, Australia, The Netherlands, Germany, Scotland, England, Norway and Sweden. 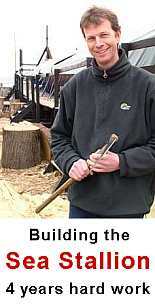 The captain of the ship is Carsten Hvid. A part of the crew will change during the journey. On the Orkney Islands fresh people will be taken on board before heading for Dublin. It is still not decided where the ship will be exhibited in Ireland during the winter, but an effort is made to transport it to the National Museum in Dublin. 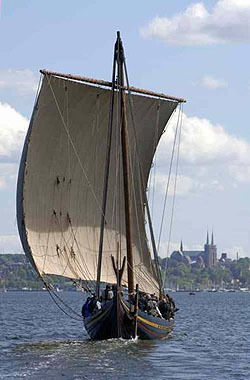 During the trip on the sea the National Danish television DR will produce TV programs and broadcasts from the voyage. The programs are expected to be shown on many TV channels around the world. Even though the trip from Roskilde to Dublin is the most spectacular voyage it is not the first time that the Sea Stallion is travelling on open sea. 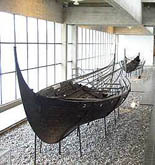 Many tests have been done in the waters near Roskilde and the rest of Denmark and in 2006 the Viking ship visited Norway and Sweden including Oslo where the famous Oseberg Ship is exhibited. The Sea Stallion of Glendalough is an English translation of the original Danish name: Havhingsten fra Glendalough. The Sea Stallion is 30 meter long and has enough space for 80 - 90 warriors. The crew however is only 65. Even with this limited amount of people the crew has only 0,8 m2 each during the two weeks long journey to Dublin.